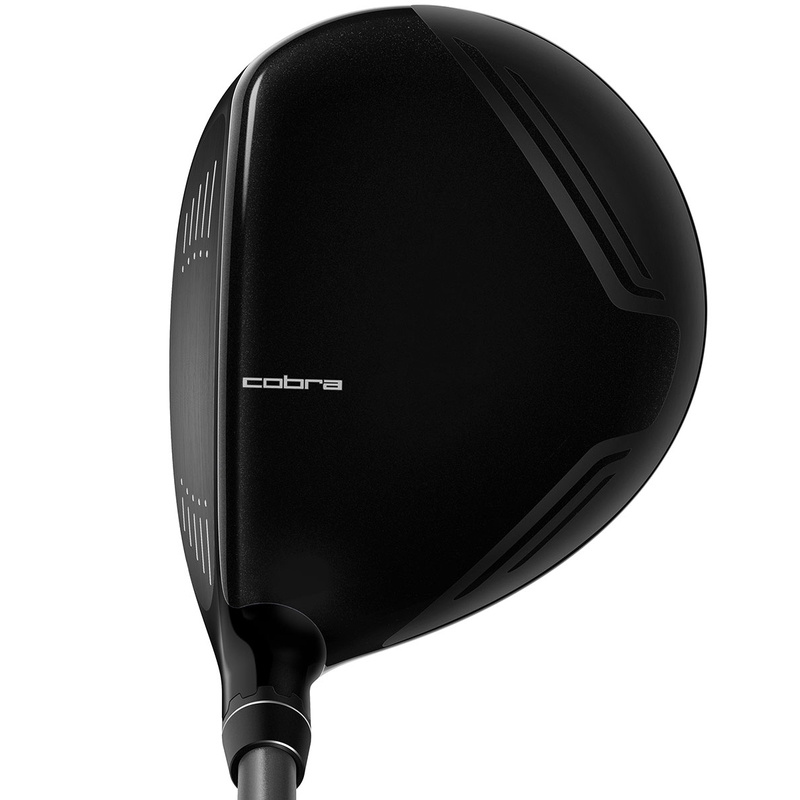 Thanks to this incredible fairway wood from Cobra, you will find it simple to hit the ball off the tee, turf and rough. 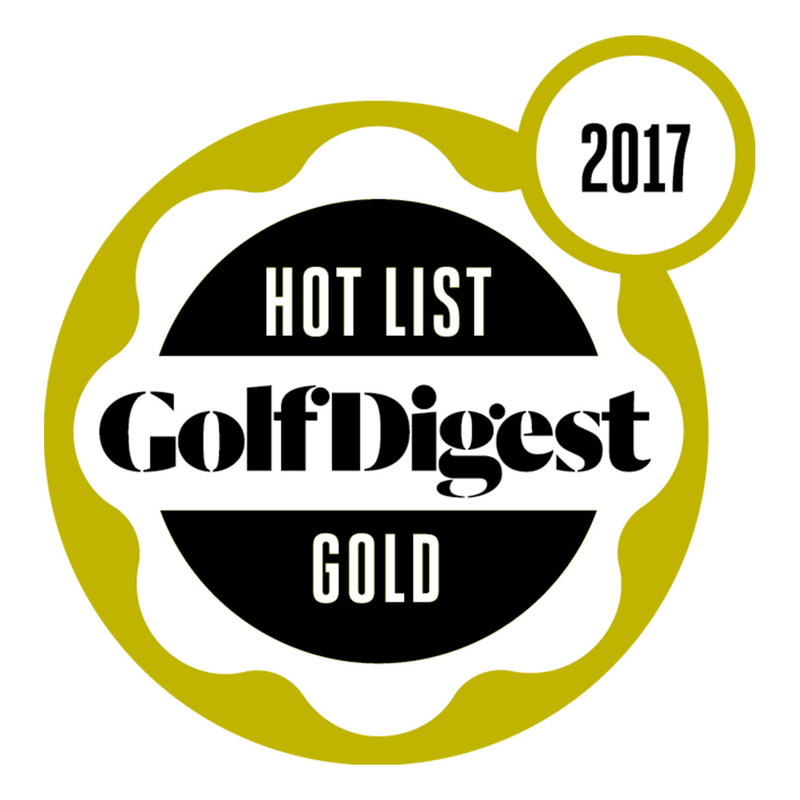 Progressive rail design provides shallower or steeper rails depending on club loft and angle of attack for enhanced turf interaction and consistency from every lie. 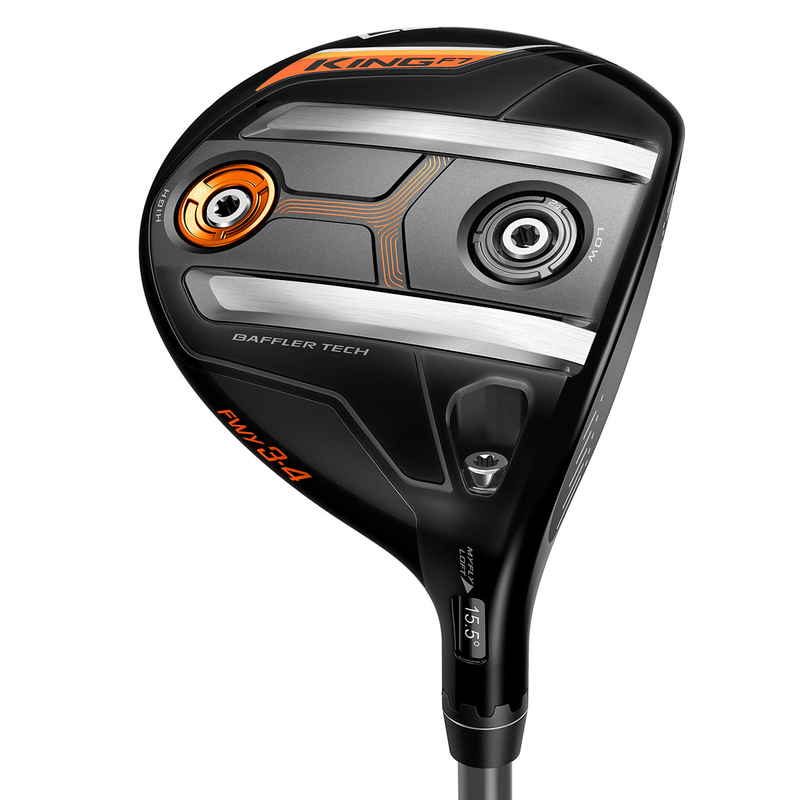 The 3 wood design has been created with short rails. 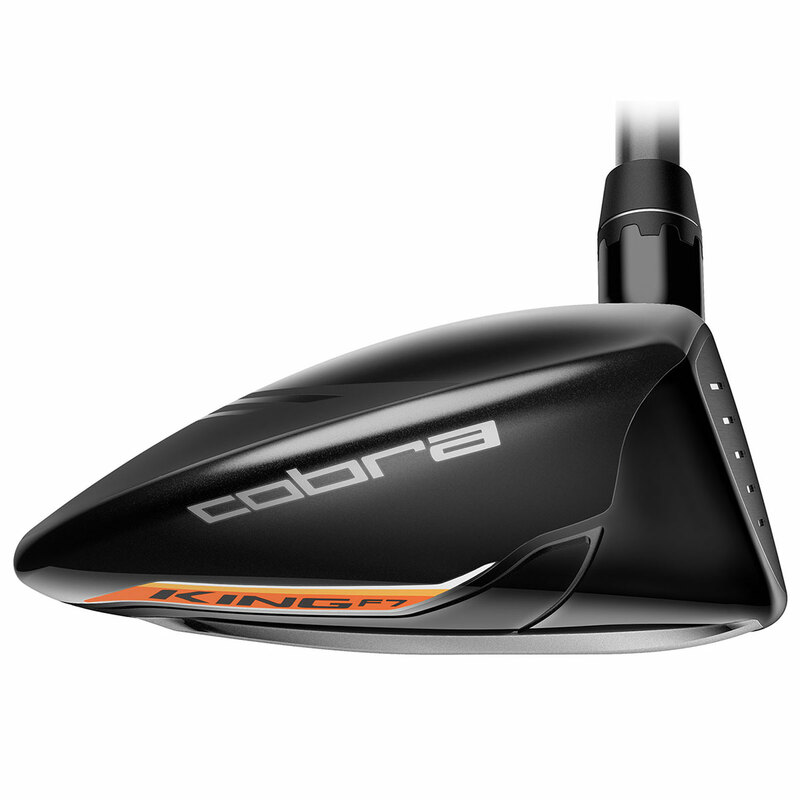 This less pronounced design helps golfers produce a sweeping attack angle, allowing the club to glide easily through any lie for improved turf interaction. The 5 wood has been created with a mid rail. 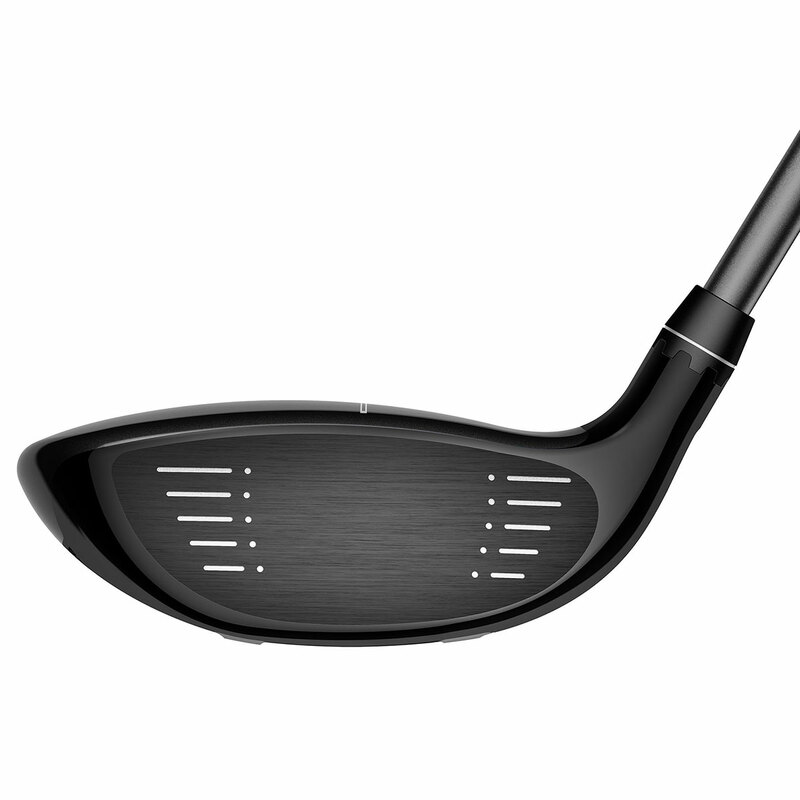 Whether you have a shallow or sweeping attack angle, the medium height rail design on the 5 wood works to reduce digging into the turf in order to retain more club head speed and distance out of any lie condition. 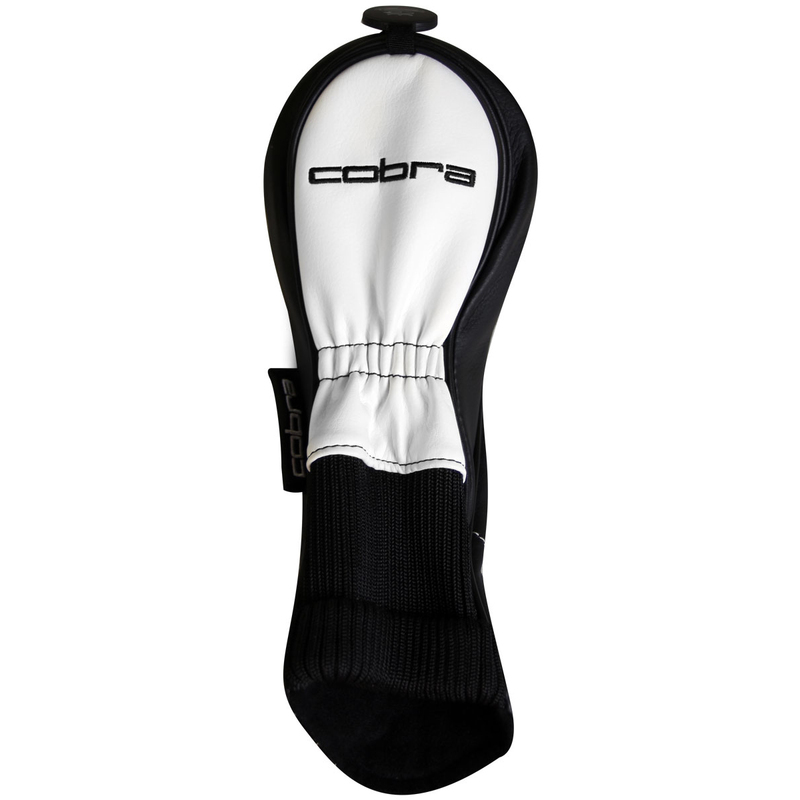 Two different CG settings in the front and back result in differing ball flights to help golfers tune into their optimum distance and trajectory whether its dependant on the course conditions or simply their preferred ball flight. 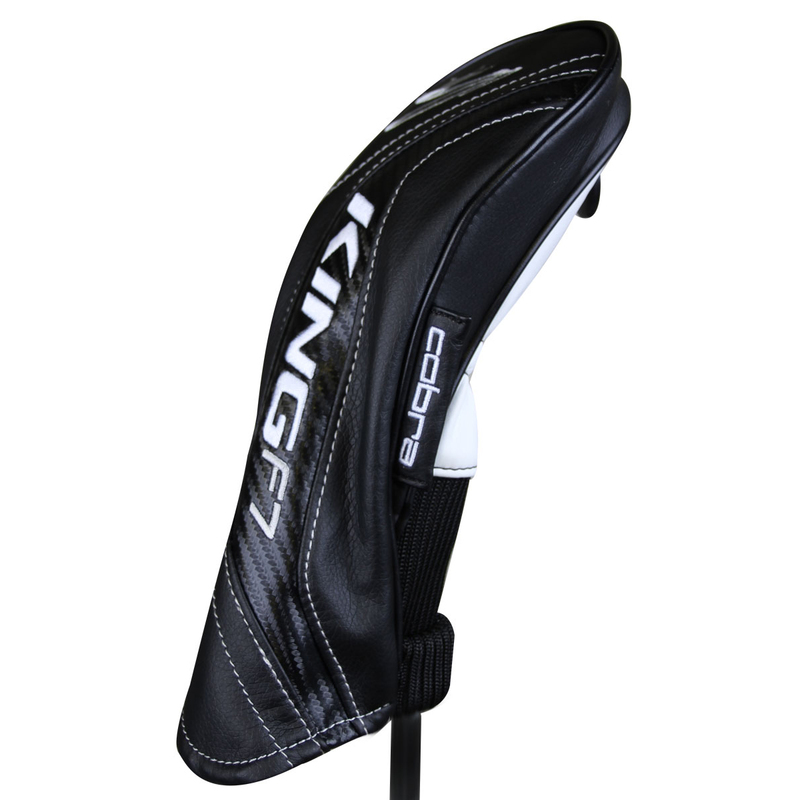 The King F7 Black fairway wood comes complete with a matching head cover.